All Tarpley homes currently listed for sale in Tarpley as of 04/22/2019 are shown below. You can change the search criteria at any time by pressing the 'Change Search' button below. If you have any questions or you would like more information about any Tarpley homes for sale or other Tarpley real estate, please contact us and one of our knowledgeable Tarpley REALTORS® would be pleased to assist you. "OUTSTANDING WATERFRONT PROPERTY ON HONDO LAKE/CREEK 14' DEEP WITH HUGE DOCK & BREATHTAKING VIEWS! IMMACULATE PROPERTY & HOME YOU CAN FALL IN LOVE WITH LOCATED BETWEEN TARPLEY & UTOPIA, SHORT DRIVE TO BANDERA & STATE PARK. UPDATED 4 YRS AGO WITH BEAUTIFUL WOOD FLOORS. EXCELLENT HORSE PROPERTY WITH 5 STALL BARN THAT HOLDS 100 BALES OF HAY + ARENA. ABUNDANCE OF WILDLIFE & MANY FRUIT TREES. 4 BEAUTIFUL PATIO AREAS FOR ENTERTAINING OR THE OPEN LIVING, DINING & KITCHEN AREA WITH WOOD STOVE. 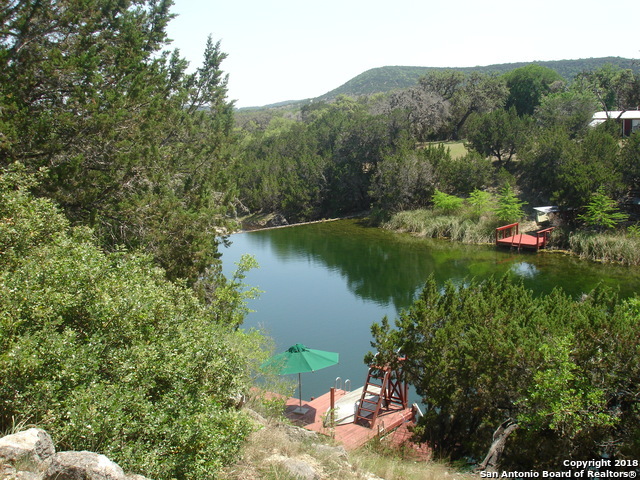 A RARE FIN"
"Leland's Tiny Little House on 20.42 Acres surrounded by prime Texas Hill Country! Perfect for your hill country get-away. 2 bedrooms 1 bath and 2 bedroom lofts; total of 580 sqft. Country interior finish w/ pine walls & vaulted pine & tin ceilings. Full kitchen, stackable washer/dryer, fridge, microwave & smooth cooktop/oven. New road, new septic & 7500 gallon rain harvest system. 8x40ft covered front deck to take in the views. Great for hunting or nature watching, fire pit under the awesome Te"